Since April 1, long-haul Iberia flights (flights with international destinations with a duration of more than 8 hours) have selective waste collection on board. Compactor: Packaging waste, as plastic bottles, cans and cartons, is deposited in the compactors. The packaging must be always empty, not containing contain liquids or organic matter. Waste Trolleys: The rest of the waste, as organic matter, napkins, packaging with food or drink, plastic cutlery and all the waste that the crew receives mixed, is deposited in the waste trolleys. In this way, the light packaging waste can be recycled at destination. The rest of the residues, mixed with the organic matter, are considered SANDACH Category 1 and, due to the current legislation, must be taken to landfill. 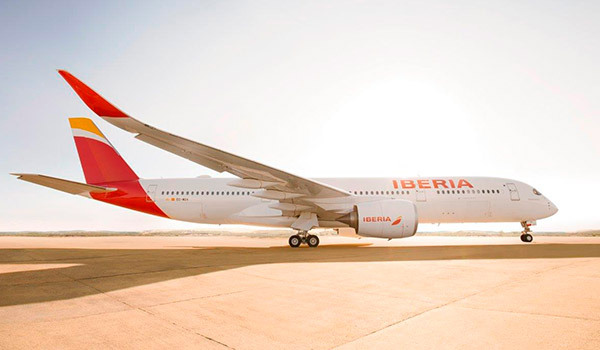 Iberia has around 25 long-haul destinations such as Buenos Aires, Rio de Janeiro, Bogota, Mexico, New York, Johannesburg or Tokyo, among others. In these flights, an average of 0.6 kilograms of waste per passenger is generated. This is an important amount of waste that we must manage in the best possible way to increase the recycling rate and avoid the landfilling.